Framo Morat is a manufacturer of high-quality drive solutions for many industries. With a global network of locations and sales partners, we have a global reach. 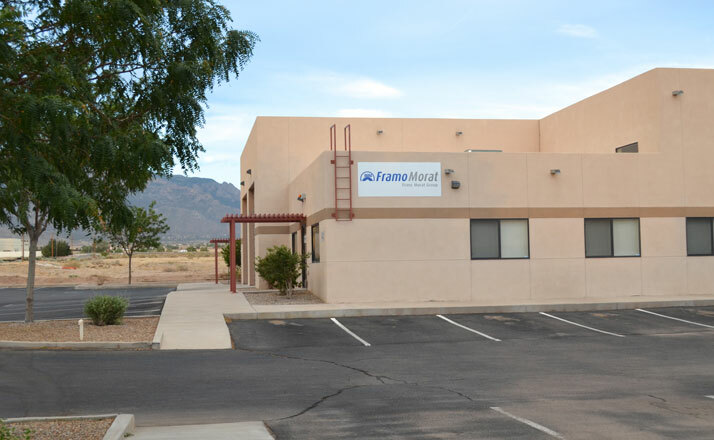 In January 2014 we started up Framo Morat, Inc. in Albuquerque, NM to provide better and quicker service to our customers, to create more growth opportunities for the company, and to strengthen our global position. We offer sales support and repair services at the US office currently. Our core competency is in the field of gearing technology and custom injection molding of specialty plastics. 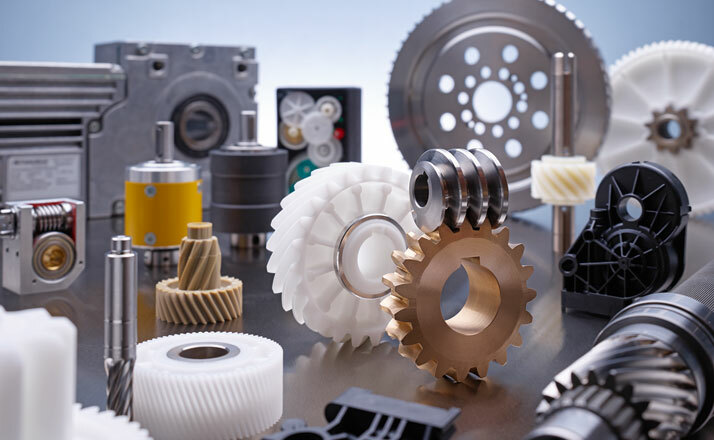 In fact, Framo Morat is among the leading manufacturers in Europe, particularly in the area of worm gear sets and our plastics group F. Morat in molding the material PEEK. We view ourselves as a consultative company, and we supplement automated production with the services of an engineering firm. With years of experience, Framo Morat is the ideal partner for every phase of a project, from developing specifications for your idea, through development and design, to prototype construction, testing, assembly, and regular production. Numerous highly respected companies from a wide variety of industries trust our development services and the resulting drive solutions. We have been quite successful in renewable “green” energy products and industries, like e-motive, solar, and wind. With a tremendous depth in production capabilities, Framo Morat, Inc. has a unique ability to bring together knowledge and the entire spectrum of gear related and plastic production methods under one roof. Gear engineering is the core competency of Framo Morat. 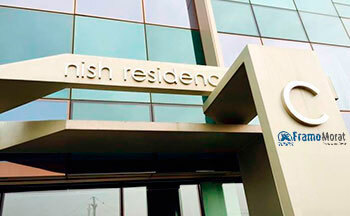 All of our manufacturing technologies that are crucial to quality are carried out in-house. Framo Morat is among the leading providers in Europe, particularly in the area of worm gear sets. Framo Morat is a consulting company that combines automated production with the services of an engineering firm. With years of experience, Framo Morat is the ideal partner for every phase of a project, from developing specifications for your idea through development and design to prototype construction, testing, assembly, and regular production. Numerous highly respected companies from a wide variety of industries trust our development services and the resulting drive solutions. With a tremendous depth in production capabilities, Framo Morat has a unique ability to bring together knowledge and the entire spectrum of gear production methods under one roof. In 2015, a new plant was founded in Nowa Ruda, Poland to help expand our assembly capacities. Different transmission variants are installed here in the 2,500 m² facility—economically, flexibly and efficiently. 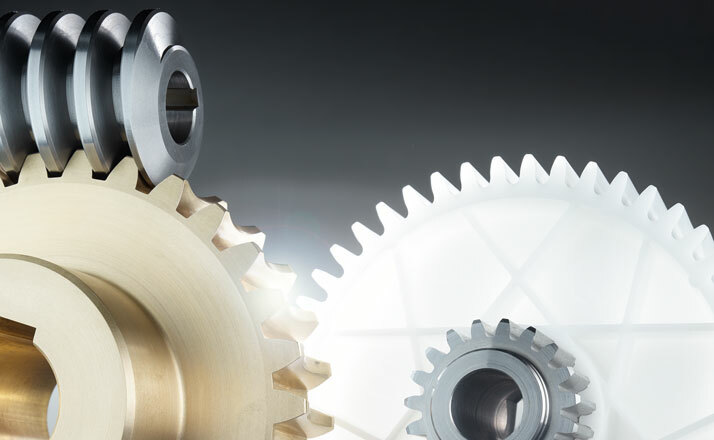 Gears and worm gear sets technology is our specialty: Working according to customer specifications, we manufacture gears with internal and external teeth, rotor shafts, pinions, and sprockets in addition to numerous specialty solutions. Depending on the specific requirements, we utilize a wide variety of materials, including steel, aluminum, various non-ferrous metals, and synthetics. As a result, we can ensure that our customers always receive a high-quality product that is ideal for their application. We perform all major soft and hard processing steps, including annealing in our own ovens. Thanks to these extensive capabilities, we are able to execute even highly complex tasks precisely according to customer expectations and in the highest quality. Our worm gear sets cover a wide range of applications. 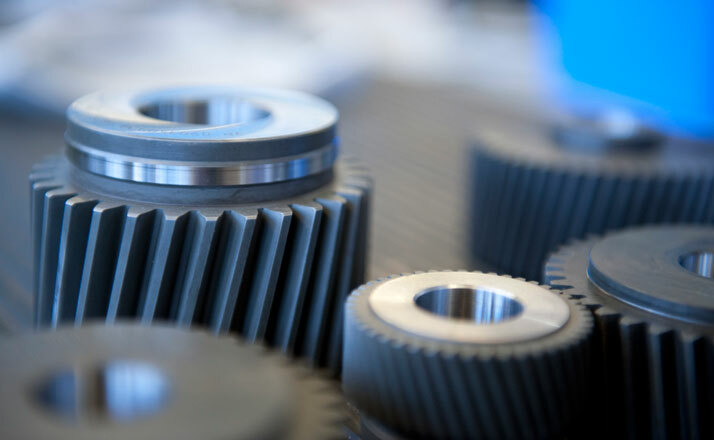 We demonstrate our experience and skills by producing more than 1 million gear sets every year, most of which are according to custom specifications. 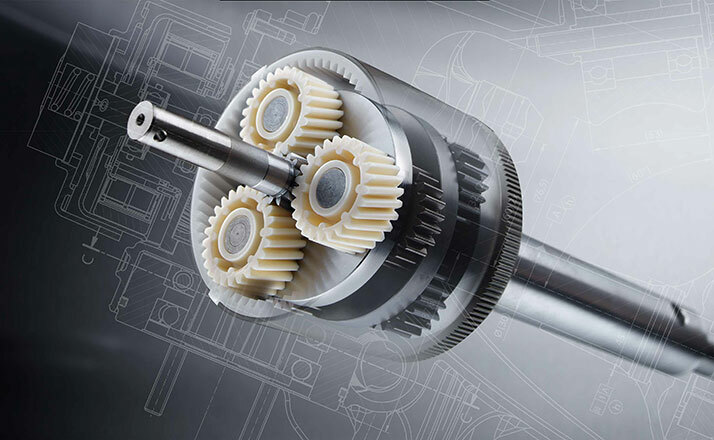 Our gear sets have diameters ranging from 17 to 300 mm and center distances of up to 150 mm. Framo Morat designs and manufactures worm gear sets from steel, bronze, fabric laminate, or synthetic material, depending on requirements. Our standard drive solutions comprise slip-on geared motors, linear actuators, planetary gears, and push/pull actuators. We specialize in incorporating motors, gears, terminal strip, limit switches, encoders, potentiometers, brakes, and more options into our standard housings: In a package that is smaller and much lighter weight than our competitors. The modular design we offer allows these products to be individually adapted to the customer’s requirements: sort of a mix and match to get what your application needs, not just what we want to offer. Custom Engineered Drives is where we really stand out. We offer custom engineered drive solutions that are designed and developed specifically according to the customer’s requirements. We can leverage our wide variety of standard drive soltions experiences with being creative for a truly unique solution. Our drives can include very complex drive solutions, including the motor controller, bus coupling, certification, production, and delivery logistics for a complete service from a single source. For these purposes, Framo Morat has its own prototyping capabilities for producing small runs of custom engineered drives, testing with customers, and optimizing series production. Custom Engineered Plastic Solutions made of technical thermoplastic materials. We have been molding for over 50 years including using various fillers and reinforcing materials as well as the temperature-resistant PEEK™ plastic to create highly technical components. Over 1 million parts leave the factory daily, are delivered across the globe and are integrated into a wide variety of equipment where they perform their tasks quietly and reliably. This ranges from window motors in automobiles to actuators for mobile communications to table height adjustments, paper shredders and fully automatic coffee machines. A popular option is to combine metal with plastics. The geometric construction and optimization of metal and plastic parts also takes place in-house. Through these combinations, solutions can be found that each material is unable to offer in isolation. Plastic assemblies are produced and assembled in house as well. This includes all processing steps, for example, ultrasonic welding, soldering, inspecting and marking. Actuators for district heating systems, radiators and metering pumps or closing actuators for the security industry are developed through this process. No less important, all assembly groups benefit from the expertise that forms the foundation for the complete in-house processing chain. We continue to offer development expertise for complete, custom assemblies and therefore, are a powerful partner in all areas of drive engineering with a specific focus on plastics. 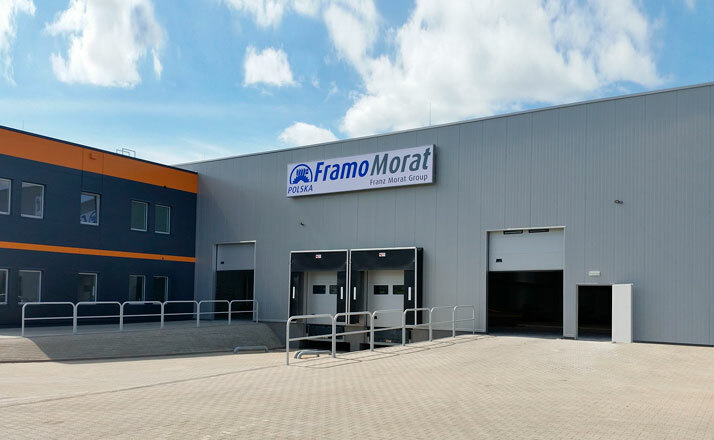 In recent years, Framo Morat has grown increasingly close to its neighboring sister company F. Morat, a pioneer in the field of plastic injection molding technology. 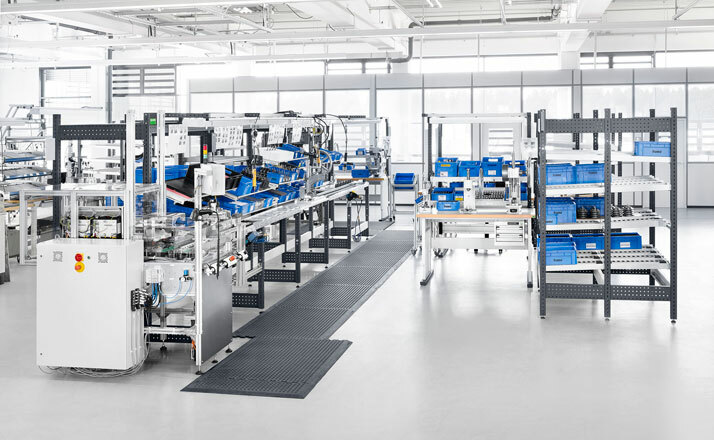 As a result, the umbrella company Franz Morat Group can create drive solutions that bring together the benefits of both materials, metals and plastics, for capabilities that are truly unique in the industry. We think globally, but have local roots. 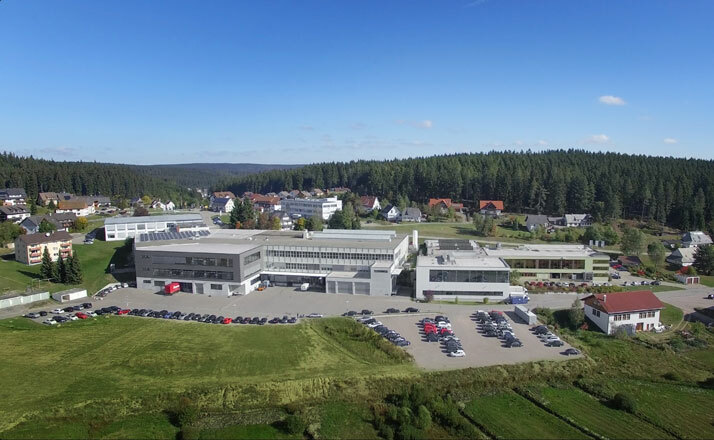 We are a modern, international technology company, yet we remain tied to our original location in Germany’s Black Forest and are led by the sixth generation of family management. We draw energy from our heritage: we believe that a solid footing is needed to truly achieve success. And we strive for success each and every day. We are always seeking motivated and qualified employees who can help us keep up with continually changing market requirements, But we also place a high value on advanced training for our employees. More than 70% of our employees are qualified as skilled workers, while 10% are participating in training at any given time. Take a look at our new Careers page— with the wide variety of open positions, you are sure to find one that is right for you. Seit der Gründung der Franz Morat GmbH im Jahr 1912, wird am Firmensitz in Eisenbach die Antriebs- und Zahnradtechnik kontinuierlich weiterentwickelt. Mit einem weltweiten Netz von Niederlassungen und Vertriebspartnern, sowie Tochterfirmen in den USA und den Niederlanden ist Framo Morat ein global operierender Hersteller hochqualitativer Antriebslösungen für viele Industriebranchen. Die Kernkompetenz des Unternehmens ist die Verzahnungstechnik. Hier zählt Framo Morat, besonders bei den Worm Gear Setsn, zu den führenden Anbietern Europas. Framo Morat versteht sich als beratendes Unternehmen und ergänzt die automatisierte Fertigung mit den Leistungen eines Ingenieurbüros. Auf seiner langjährigen Erfahrung aufbauend, ist Framo Morat von der Spezifikation Ihrer Antriebs-Idee über die Entwicklung und Konstruktion bis hin zum Prototypenbau, Test, Montage und Fertigung der ideale Partner. Zahlreiche renommierte Unternehmen aus den unterschiedlichsten Branchen vertrauen auf unsere Entwicklungskompetenz und die daraus resultierenden Antriebslösungen. Durch die hohe Fertigungstiefe vereint Framo Morat das Know How und das gesamte Produktionsspektrum für die Getriebefertigung unter einem Dach. Zahnradtechnik ist unsere Spezialität: Nach Kundenspezifikation fertigen wir Zahnräder mit Innen- und Außenverzahnung, Rotorwellen, Ritzel und Kettenräder sowie eine Vielzahl von Speziallösungen. Dabei setzen wir je nach Anforderung eine Fülle von Materialien – Stahl, Aluminium, verschiedene NE-Metalle und Kunststoffe – ein. Auf diese Weise ist garantiert, dass unsere Kunden stets ein hochwertiges, genau an ihre Anwendung angepasstes Produkt erhalten. Alle wesentlichen Prozessschritte der Weich- und Hartbearbeitung, inklusive Härten in eigenen Härteöfen, führen wir im eigenen Haus durch. Dank dieser großen Fertigungstiefe sind wir in der Lage, auch komplexe Bearbeitungsaufgaben exakt nach Kundenwunsch und in höchster Qualität auszuführen. Mit unseren Worm Gear Setsn decken wir ein weites Spektrum von Anwendungen ab. Über 1 Million im eigenen Haus gefertigte Radsätze pro Jahr – die meisten davon in kundenspezifischer Ausführung – belegen unsere langjährige Erfahrung und hohe Leistungsfähigkeit. Unsere Standardradsätze werden mit Durchmessern von 20 bis 135 mm und Achsabständen von 17 bis 80 mm gefertigt. Darüber hinaus bieten wir kundenspezifische Radsätze mit Durchmessern bis 300 mm und Achsabständen bis 150 mm an. Framo Morat konstruiert und fertigt je nach Anforderung Worm Gear Sets aus Stahl, Bronze, Hartgewebe oder Kunststoff. Die Business Unit Antriebstechnik umfasst Aufsteck-Getriebemotoren, Hubspindelantriebe, Planetengetriebe und Schubketten, die nach einem Baukastenprinzip individuell an den Einsatzfall des Kunden angepasst werden. Darüber hinaus bieten wir Antriebslösungen, die nach Kundenanforderungen entwickelt und konstruiert werden. Framo Morat verfügt dazu über einen eigenen Prototypenbau, um die entwickelten Antriebe in Kleinserien zu produzieren sowie in Zusammenarbeit mit dem Kunden zu testen und für die Serienproduktion zu optimieren. Auch sehr komplexe Antriebslösungen inklusive Motoransteuerung, Busankopplung, Zertifizierung, Fertigung und Lieferlogistik erhalten Sie von uns – alles aus einer Hand. Wir denken global und sind zugleich lokal verwurzelt: Ein modernes, international ausgerichtetes Hightech-Unternehmen, das nach wie vor mit seinem Gründungsort im Hochschwarzwald verbunden ist und in 6. Generation in Familientradition geführt wird. Aus unserer Herkunft schöpfen wir Kraft: Denn nur wer fest verankert ist, kann etwas bewegen. Und das tun wir, jeden Tag aufs Neue. Um sich den stetig wandelnden Anforderungen des Marktes stellen zu können, sind wir permanent auf der Suche nach motivierten und gut ausgebildeten Mitarbeitern. Außerdem legen wir großen Wert auf Aus- und Weiterbildung: Über 70 % der Belegschaft besitzt eine Facharbeiterausbildung, während sich laufend 10 % in Aus- und Fortbildungen befinden.